Psoriasis, a chronic, inflammatory skin disease characterized by an uncontrolled shedding of the skin, afflicts millions of people throughout the world. For centuries, the cause and cure for psoriasis has eluded scientific research, and to this day it remains a mystery from the orthodox point of view. 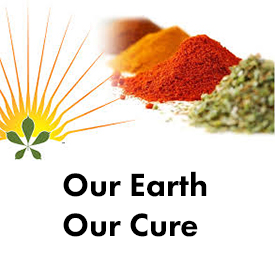 From a holistic point of view, the cause of psoriasis is not a mystery and cures have been achieved with natural means. One of the most important discoveries about psoriasis is that it's more than just a skin disease; it's a chronic inflammatory disorder of the immune system, known as autoimmune condition. 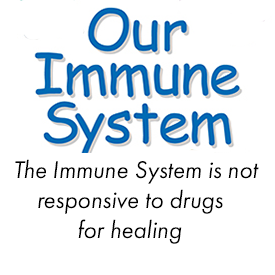 This system includes a type of white blood cell, called a T cell, that normally helps protect the body against infection and disease. Scientists now think that, in psoriasis, an abnormal immune system causes activity by T cells in the skin. These T cells trigger the inflammation and excessive skin cell reproduction seen in people with psoriasis. It is believed that you must have a genetic tendency to be susceptible to the condition. But once your immune system is triggered, it sends a false alarm to your skin cells, telling them that they’ve been damaged. The skin cells react by attempting to repair this “damage.” They begin reproducing at an accelerated rate (the process that takes roughly 26 days in normal skin now occurs in about 5), rising to the skin surface, dying, and building up there. The skin surface thickens. As blood vessels expand and more blood flows to the skin, it becomes red. The result is the flaky, red patches you know as plaques. Because psoriasis is a condition of the immune system, researchers have turned their efforts toward medicines that target the immune system directly. The comparison of psoriasis with other chronic, debilitating medical and psychiatric conditions suggests that, though not life threatening, psoriasis can severely threaten the quality of life. It ranked even more detrimental to quality of life than even angina or hypertension. From the results of this study, it appears that psoriasis can be physically and emotionally debilitating and is not simply a cosmetic nuisance. Psoriasis interferes with daily functions, generates psychological distress, and disrupts social relationships. The findings of the study confirmed what psoriasis sufferers have long known – psoriasis can cause as much disability as other major medical diseases. Health-related quality of life (HRQL) is an evaluation of the influences of a patient’s current health status and on their ability to achieve and maintain a level of overall functioning that allows them to pursue valued life goals. The HRQL assesses eight domains of health status: physical functioning, role functioning related to physical status, bodily pain, general health, vitality, social functioning, role functioning related to emotional status, and mental health. Patients with psoriasis reported reduction in physical functioning and mental functioning comparable to that seen in cancer, arthritis, hypertension, heart disease, diabetes and depression. Some aspects closely associated with a negative impact on the physical dimension of HRQL include burning sensations, joint pain, and how the bones/joints look. "Scales falling off" was predictive of higher physical functioning, indicating that patients who report better physical functioning tend to be bothered more by scales falling off. 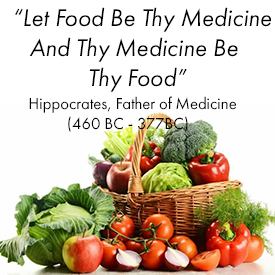 Dr. Mercola - "We can solve well over 90% of the all chronic diseases with simple, inexpensive natural therapies. Following the eating plan and radically reducing grain and sugar intake while optimizing omega 6:3 fat ratio will likely reduce over 50% of the health problems Americans currently experience. 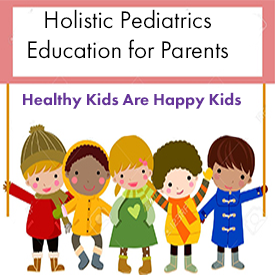 I know this is true because I have successfully treated many thousands of patients from all over the country with these techniques." Steroids (Cortisone) - Cortisone creams, ointments, and lotions commonly prescribed for skin disease may clear the skin temporarily and control the condition in many patients. Side effects from steroids include thinning of the skin, dilated blood vessels, bruising, and skin color changes. Stopping these medications suddenly may result in a flare-up of the disease. After many months of treatment, the psoriasis may become resistant to the steroid preparations. 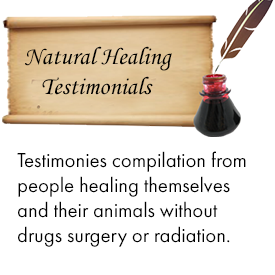 Healing Psoriasis is a comprehensive report which outlines Dr. Pagano's psoriasis regimen and chronicles the results his patients have attained by using his natural procedures which are drug-free, without tar baths, injections, or ultraviolet treatments. The 300 recipes in the cookbook follow the principles of the regimen. The Pagano diet, as detailed in the book Healing Psoriasis by chiropractor John Pagano, uses the idea of restoring a healthy digestive track to solve the problem of psoriasis. The implication is that the build up of toxicity leads psoriatics to expel toxins through secondary systems, namely the skin. Pagano suggests a regimen of herbal teas, apple-fasting, spinal adjustments, colonics and a suggested dietary ratio of 80% fruits and veggies to 20% starches and protein. While some have found regimen to be a bit ‘extreme’ or ‘unworkable’, Pagano does provide excellent information on many ‘flare foods’ and offers a number of pictures and testimonials, suggesting that some of his recommendations can be quite valuable. 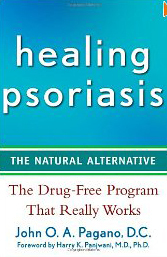 "The book Healing Psoriasis perceives psoriasis, as well as eczema, as having its origin in The Intestinal Tract. 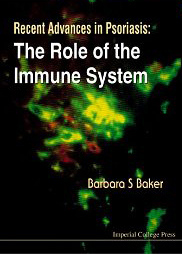 Viewed from the inside-out, rather than from the outside-in, a whole new approach to the disease evolves.This concept, first promulgated by the late Edgar Cayce, identifies the problem as a build-up of toxins (poisons) in the system making their way through the skin, but not originating in the skin. He sites a primary cause as being due to thin, porous, intestinal walls allowing these toxic elements to "seep" through (now referred to as "The Leaky Gut Syndrome"). He further emphasizes that a proper DIET and adequate ELIMINATIONS are a major part of the solution. This book proves the efficacy of this theory by documented case histories, patient affidavits and striking before and after photographs. Alteratives are herbs which alter (purify) the blood. Most herbs for blood purification promote the cleaning action of the spleen, liver, kidneys and bowels. 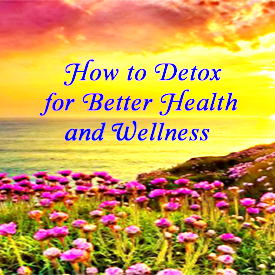 These herbs should be used over a long period of time, allowing gradual detoxification of the entire blood stream which in turn, will improve digestion, assimilation and glandular secretions. Bad habits and poor diet must be corected to remove the cause of the toxicity of the blood. Infections, cancer, arthritis and skin disease are some of the diseases caused by impure blood. Sangre de Drago is used widely in the Rainforest for its ability to assist in repairing/regenerating healthy body tissue and skin. It is one of the strongest natural antioxidants known. Persimmon Leaves are part of Dr. Miller's VelociTea Detox Tea Ingredients Formulated by Dr. Bill Miller, Ph.D. in Nutritional Science, the VelociTea Holy Tea is a unique herbal blend of safe, all-natural ingredients designed to promote healing by gently cleansing the digestive tract, detoxifying the body, improving skin condition. 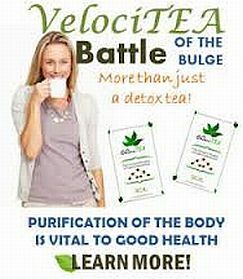 The "Holy Tea" name is taken from the traditional name of one of the ingredients, a widely-used medicinal herb known as Holy Thistle or Blessed Thistle, and is not intended to imply any religious significance - although grateful users who experienced remarkable health improvements after drinking Holy Tea often thank God for this gift of healing! Dr. Douglas Willen - "It took a colleague of mine over 9 months to convince me to use glyconutrients (saccharides) supplementation in my practice and I only tried it because I had a case that was chronic and extremely difficult, a 7-year old girl with horrible eczema over her entire body, and I was getting nowhere using all my tried and true protocols. Not to mention the fact that this little girl was my daughter's best friend! Well, the glyconutrients proved to be the missing link in that case... Her rapid recovery really got my attention! I began doing the research and the reading on this subject and was incredibly impressed with the science backing these products. Four out of the last eight Nobel Prize winners won their prizes because of their research in this area called glycobiology, and thousands of new research papers are published each year in the field. Needless to say, I have continued to use this type of nutrition in my practice since." "My daughter, Stef, used to have problem feet. She had severely cracked heels and thick yellow toenails that were difficult and painful for her to trim, as they always grew into the sides of her toes. Two weeks after she started drinking glyconutrients, she asked for me to trim her toenails, and lo and behold, they were absolutely normal! They were easy to trim with no pain, good color; her cracked skin has completely healed. This all in just a couple of weeks." "I have had Psoriasis of the scalp since I was about 13 years old. I have had to use vinegar, Biotin and B-12 to keep it under control. 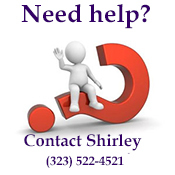 I haven't used anything in 2 months now since I've been taking marine phytoplankton and the itching is gone." I had really bad psoriasis about a year ago (and since I was a small child and I am 38 years old) and last April I began massaging castor oil on my liver after each shower (daily) and I have seen a 90% reduction in my psoriasis since that time. I didn't have the patience to do the packs so I just do the daily massage and have seen amazing results. I put about a dime size amount in my hand and without having dried the area of my abdomen after my shower so that it is still moist, I massage in the oil. I don't massage it for any real length of time - no more than the time I spend massaging in other lotions into my skin. After a couple weeks of 30 degree temperatures I have had a little psoriasis pop up, but the amount is so minimal in comparison to what I have experienced in the past that I am unconcerned and undaunted. I have also struggled with endometriosis and have had physicians want to do surgery on me for the condition. I do a full abdomen massage with the oil and my endometriosis symptoms have greatly reduced as well. Castor Oil is also suppose to help soften scar tissue. I have had 2 c sections and after 8 months of using the castor oil, once was once a nasty thick and solid scar is now almost imperceptible. 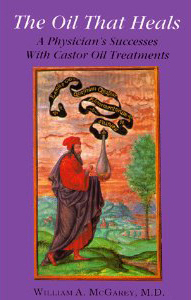 A fascinating analysis of a medical doctor's research on and verification of the healing properties of castor oil packs, first recommended by the noted psychic Edgar Cayce as an adjunct for many ailments that resist traditional medical treatment. This natural oil has amazing healing properties. It has been used in virtually every major civilization since antiquity for the cure of normally fatal disabling conditions. In India, they called it erand. In ancient Greece it was known as kiki. It is mentioned in the Bible and in the most ancient Egyptian papyrus yet found. In Europe, in the Middle Ages, it was used by some to cure the plague. They called it the "palma christi" or the "hand of Christ." This extract of the castor bean is a safe, gentle, easy to use remedy for virtually any illness - when it is used externally. External medication serves to provide only temporary relief from the itching and the eruptions almost always re-appear as soon as they are stopped. 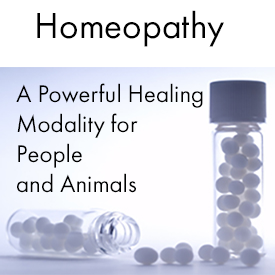 Homeopathic medicines are virtually safe completely and there are hardly any chances of side effects even if the medication is taken for a few years. Homeopathy can offer a lot by way of treatment for psoriasis. Through prescribing a correct constitutional homeopathic medication most of which is internal a lasting solution can be found. The modern system of homeopathy treats Psoriasis without using any local cream or lotions. The wisdom in the treatment of Psoriasis lies in stimulating the healing process from within.This website is devoted to the sufferers of psoriasis and brings them a new ray of hope through homeopathy. What happens when cyclosporine is given to patients with psoriasis, whose prior treatments, such as PUVA, are known to also cause cancer? Could it make a difficult situation even worse by increasing even further the risk that the psoriasis patients already face? The answer is yes. Psoriasis patients using cyclosporine have a dramatic increase in the number of squamous cell cancers of the skin. In a study reported in The Lancet, (Vol. 358, No. 9287: 1042-1045), Isabelle Marcil, MD, and Robert Stern, MD, from the department of dermatology at Beth Israel Deaconess Medical Center in Boston, Mass., followed 1,380 patients who had received PUVA therapy from 1975 through 1976. A total of 844 patients were available to be part of the present study. 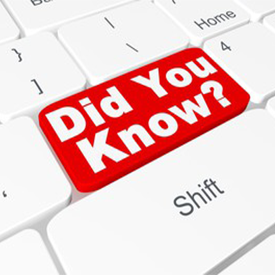 Of that group, 31 patients had received cyclosporine treatment between 1975 and 1998. When the researchers compared the psoriasis patients who received cyclosporine to those who did not, they found that any use of cyclosporine increased the risk of developing squamous cell skin cancer about three times. If the drug was taken for more than three months the risk was increased four times. Cortisone creams, ointments, and lotions may clear the skin temporarily and control the condition in many patients. Side effects include thinning of the skin, dilated blood vessels, bruising, and skin color changes. Stopping these medications suddenly may result in a flare-up of the disease. After many months of treatment, the psoriasis may become resistant to the steroid preparations. 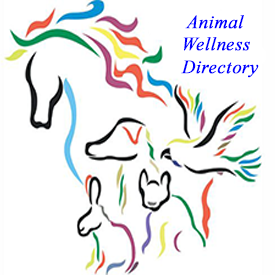 What follows is a description of some of the products and approaches that may be useful for others to look into. Some of these may be more useful than others depending on the specifics of how different people respond. Psoriasis is a very individual condition. I’ve distilled this down to a handful of things that I feel can be truly helpful, rather than a list of all the numerous and supposed ‘cures’ that I encountered. One of the more helpful things to begin looking at is the response that one has to certain kinds of foods. I call these ‘flare’ or ‘trigger’ foods because they will often bring about a worsening of the condition, sometimes immediately, sometimes cumulatively. The predominant ones among psoriatics are sugar, alcohol, citrus, and nightshade vegetables (tomatoes, potatoes, eggplant, peppers and tobacco). As well, some of the more common food allergens like wheat, milk, soy, and nuts may also cause problems because generally psoriasis occurs when there is an increase in allergic inflammation. Also excess consumption of meat, dairy, refined flours and junk foods may lead to a worsening of the condition. Psoriasis is hormonal!? That’s right. 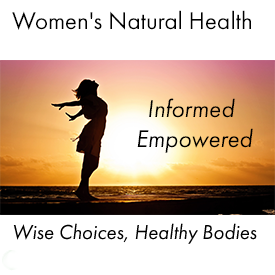 Many people don’t realize that our body produces all sorts of hormones in response to what we eat and how we are living. The skin system in particular relies on a number of different hormones; eicosanoids and prostaglandins, to regulate inflammation, produce new cells and support healthy cell membranes. I believe this is one of the most powerful bits of knowledge for psoriatics, because it exhibits directly that balancing these hormonal responses can bring about profound changes in the production of new skin cells. But how does one regulate these hormonal responses? Aside from following an overall healthy diet, the answer is Fat. More specifically, essential fatty acids (EFAs). EFAs are a category of fats that are crucial to the completion of all sorts of different cellular functions. Unfortunately, many people do not receive the proper levels of EFAs in their regular diet and so supplementation is often necessary. Paying particular attention to ratio of Omega-3 to Omega-6 EFAs, and providing adequate levels of the specific nutrients (vitamins B3, B6, C, E, Magnesium and Zinc) involved in converting EFAs into the desirable hormones, increases our ability to produce healthy skin. The chia seed is one of the richest source of omega-3 oil and other essential nutrients for a healthy skin. They were the power food of the ancient Aztecs. According to Spanish manuscripts, the Aztecs ate the Chia seeds to improve their endurance, they called it their "running food" because messengers could purportedly run all day on just a handful. These include things like barley and wheat grass juices, as well as powdered spirulina, Chlorella, and blue-green algae. There is a quite a bit of debate about which of these are better. My personal suggestion is to try a few of them. Personally I’m partial to the fresh juices, as I feel like they are more vital and provide a more immediate effect. Green foods and juices are good because they can purify the blood and stimulate the production of various enzymes, which can be used to properly break down foods. Green foods also help by increasing overall immunity. I really don’t believe that consistent or long-lasting clearing can occur from any topical approach, holistic or conventional. However, having endured countless days and nights itching, chapping, and flaking, I fully recognize the need to gain some relief wherever possible. The following are a few of the more effective and safe topicals that may be able to soothe the symptoms of psoriasis. There are a host of different oils that may be able to moisturize inflamed skin and reduce the flaking. 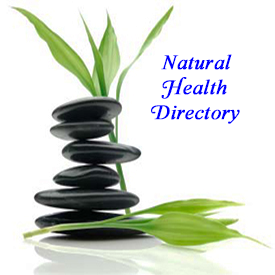 Two of the more popular ones that are often suggested for psoriasis are emu oil and neem oil. Emu oil is derived from the large ostrich-like birds, you may have encountered at the zoo. The oil is highly permeable and absorbs into the skin very easily and quickly. One drawback of Emu oil is it’s high price, often $7 to $10 per ounce. Also, some people are uncomfortable with idea of applying animal fat directly to their skin. Neem oil on the other hand is derived from the seeds of the neem plant. In India neem has been used extensively for thousands of years and has a history in Ayurvedic medicine of being used for skin problems like eczema and psoriasis. Unlike emu oil, neem oil is fairly inexpensive about $2 to $4 per ounce. Unfortunately neem has a very strong and distinctive smell and so some people may find this prohibitive for everyday use. Finally, a good moisturizing lotion is often required for most psoriasis sufferers and some prove to be better than others. In general a very basic moisturizer is probably best. After all, no one wants to risk further inflaming their skin from any potential reactions to strong perfumes or extracts. One common suggestion is lotion with colloidal oatmeal in it, such as Aveeno Lotion which can be found in supermarkets and drugstores. Most colloidal oatmeal lotions are only slightly more expensive than regular moisturizers and may be more beneficial than plain lotions. When it comes to psoriasis, one size doesn't fit all. 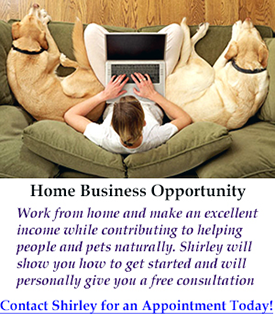 What works for one person, will not necessarily work for everyone. Anyone who is really committed to solving this condition needs first and foremost to pay attention to their own body and how they respond to certain treatments. That being said, the following is a short work sheet, in order of importance, of my suggestions for proceeding with a natural psoriasis regimen. Remember, holistic healing is often a slow process, and so it’s important to commit to trying something for at least 1-2 months before reevaluating whether to continue or not. One of the best ways to do this is to rotate certain suspect foods out of the diet for several weeks at a time. If you notice improvements in absence of that food or an increase in inflammation when the food is reintroduced, then you have probably identified a trigger-food. The bad news is that these tend be the foods that we are the most attached to, the good news is that as you begin to have some success in combating the psoriasis you may notice later an increased tolerance for these foods. As a general rule, it’s best to keep consumption of heavily refined foods to a minimum. The more processes involved in getting it to your plate, the worse it probably will be for you. However, it’s important to maintain balance with this. ‘Sainthood’ is not required but moderately health-conscious eating habits may prove to be crucial in your search for healthy skin. Intestinal health is a vital part of overall well being. Without proper absorption in the GI track, your body cannot properly get the nutrition it needs to function properly and support health skin production. Probiotics should be taken in one form or another at least once, if not three times per day. Those using food forms such as yogurt or sauerkraut, should pay special attention to avoid pasteurized products which will have killed off all of the beneficial bacteria before it can be consumed. Try Some Green Foods Whether it’s a daily shot of wheat grass or a teaspoon of spirulina mixed juice, incorporating ‘green foods’ into your diet is simple and can be quite effective. Not only will you likely see an improvement in the texture and glow of your skin, but most people report an increase of both energy and overall health.It’s my hope that other people suffering with this incorrigible condition can find some use for the information, I’ve offered here. If nothing else, I present it as evidence that clearing from psoriasis through natural means is possible! I encourage everyone with psoriasis not to give up searching for answers. Leave no stone unturned in your own quest to get clear. . .